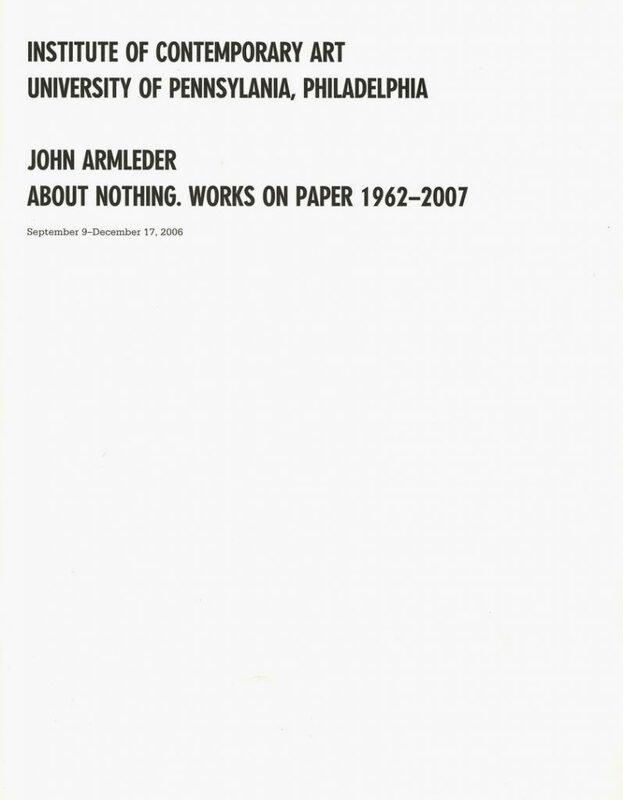 John Armleder, About Nothing. Works On Paper 1962–2007 presents drawings by an artist whose work offers vital formulations on the history of abstraction. Includes essays by John Armleder, Parker Williams, Beatrix Ruf, and Christopher Cherix, and acknowledgements by Claudia Gould, ICA Director.